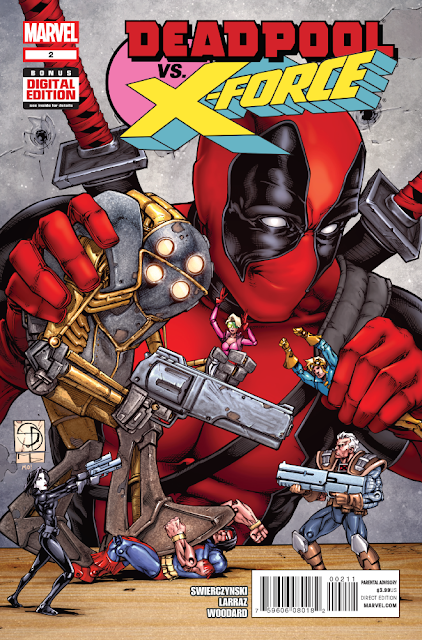 Deadpool Vs X-Force #2 comes out tomorrow July 23, 2014. A preview of this issue can be seen here. Journey back to the days of the 1990s, when two characters debuted who would change the face of comics…Cable & Deadpool! In this all-new tale, we learn of the pair's first meeting, well before New Mutants #98, as Cable and his soon-to-be X-Force race through the timestream to stop the reckless mercenary Deadpool before he destroys American history for good!